Mumbai: Hero Eco Pvt. 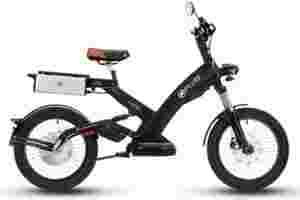 Ltd, a corporate entity that will house the Munjal group’s electric two-wheelers, bicycle exports, and light and heavy engineering goods businesses, is set to buy UK-based electric vehicles maker Ultra Motor Ltd for an undisclosed sum to expand its presence in Europe, China and Taiwan. “Besides enhancing the global footprint, the acquisition will help us establish ourselves as a full-range firm in electric two-wheelers ranging from pedelecs and mopeds to scooters," Naveen Munjal, managing director, Hero Eco, said in a phone interview. While the acquisition may not be big in terms of size, it “offers a great value proposition", said Munjal. It will allow the existing businesses of the group to implement common sourcing, enter new markets and share technologies, he said. Hero Eco will also focus on consolidating its operations, Munjal said. Some of the initiatives will include shutting redundant warehouses and setting up a secondary research and development (R&D) centre in India. The Indian centre will engage in labour-intensive jobs. This should help the company in saving costs, he said. Hero will retain the design and R&D functions in Germany and Taiwan. The integration of the operations, which may require laying off some people at Ultra Motor’s facilities in Europe and Taiwan, may not be easy, Munjal said. “We should be able to turn the company around in the next 18 months," he said. Hero Eco plans to invest ₹ 450 crore over the next five years for development of new products and consolidating the operations of Ultra Motor. This will help the company triple its revenue in the same period to ₹ 1,350 crore. The purchase of Ultra Motor comes at a time when the Indian government has announced a plan to provide incentives to electric and hybrid vehicle makers, including building infrastructure to charge batteries of electric vehicles and electricity generation. India compares poorly with China, the world’s largest two-wheeler market, where electric two-wheelers account for 17 million units out of the total 22 million units sold, whereas in India, the share of electric two-wheelers is merely 100,000 units in the 10.1 million two-wheeler market, said Munjal. The implementation of the policy will start from March or April and is expected to boost the industry, he said. As part of the programme, the government plans to put as many as seven million electric vehicles on Indian roads by 2020.